I've been interested in beauty boxes since I first heard about them, but something's always stopped me from subscribing and I think it's the fact that you just don't know what you're going to get. I like surprises as much as the next girl but the thought of getting items I already had or that I would never use (or worst of all - perfume samples) put me off and I never bit the bullet and subscribed to one. That is, until now. Or more specifically, until I heard of Love Me Beauty. The difference between your standard, run-of-the-mill beauty box and the Love Me Beauty box is that you do know what you're going to get. You do however, get to choose between three 'menus', which each contain different variations of products, so you can be sure you'll receive items that you do want to try. And if you don't like the look of any of the menus one month? That's fine, you can pause your subscription, or skip a month if you've prepayed for more than one box, at no extra cost. I'm sold. I hadn't heard of this organic french skincare brand before, but now I've tried this I'll be checking out their other products. I used this a few days ago when I got back to London and realised (shock horror!) that I'd left my beloved Liz Earle Cleanse & Polish at home - what's a girl to do? I'm ashamed to say, things were looking bleak and I'd started to reach for the Boots own brand wipes... but I remembered this and it was Love Me Beauty to the rescue. It's nothing groundbreaking, but it did the job and saved my poor face from being subjected to the W-word. Needless to say, I ran to my nearest John Lewis the next day to repurchase my holy grail C&P, but this is definitely going in my bathroom draw as it will be perfect for travelling or if - god forbid - myself and Liz Earle are parted again. I'd had my eye on this for a while as Percy & Reed are one of my favourite haircare brands so I was really excited to see that a full size can of this came in all three of February's menus. I've been using this to put a bit of life back into my second-day hair and it definitely makes it look more glossy and healthy than normal. Plus, there's none of that awful grey-root effect that so many dry shampoo's can give you - result. Yes, you did read that right. One hundred and twenty pounds! For sixty millilitres! That's coming close to Creme de la Mer price... I know expensive isn't always better but I'm not going to lie, this product was one of the main reasons I opted for this menu (the other two contained vitamin supplements which is a nice idea but not something I was particularly interested in - I like to think I get my five a day!). Although this isn't something I'll think about repurchasing - I wish - it's amazing to be able to try a product this expensive out and the sample size of 5ml is pretty generous too. I've only used it once so far (I may or may not be rationing it...) so can't really comment on the lasting effects but it did smooth my skin out and make it feel much softer and plumper after application. Nip and Fab are a brand I've wanted to try for a while, especially after I learned they were created by the founder of Rodial, and I'm quite impressed with this. It smells gorgeous and is really hydrating, especially on drier areas such as my knees and ankles. This was Love Me Beauty's 'Hero Product' - as it's the month of luurve (sickening, eh?) they are including a mystery product in each box that their subscribers have previously received and praised. I have seen other boxes with a different hero product, but I won't spoil the surprise! This is a great product to have floating around in the bottom of your bag as you can use it for lips, nails and skin - truly a multi-tasker. I've been using it on a dry patch I've got on my little finger (I've had it for years and years, it's so annoying!) when I'm out and about as I don't have the time or the arm strength to cart my giant tub of Sudocrem around with me, and it does a good job of soothing any irritation. At the end of the day, it's just a balm, but it smells lovely and the tin is pretty darn cute. All in all, I'm so pleased with my first ever beauty box and I'm already excited to see next month's menus! 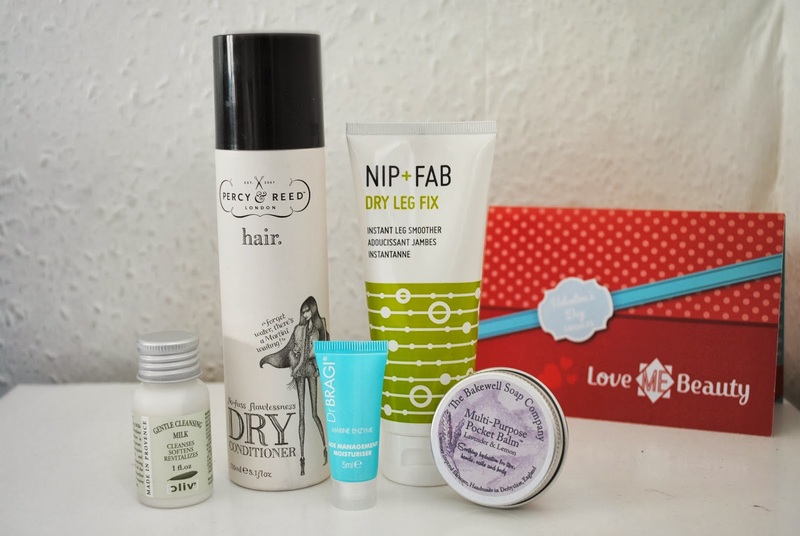 Each Love My Beauty Box is £10 + £2.95 p&p which I think is really reasonable, especially when you consider that this box contains three full size products and is worth over £40. I like to tell myself that technically, I'm saving money. 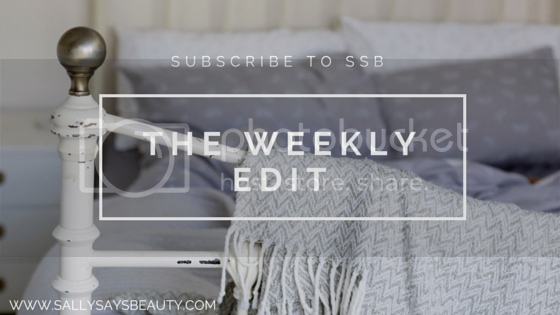 You can click here to subscribe to Love Me Beauty - what are you waiting for? 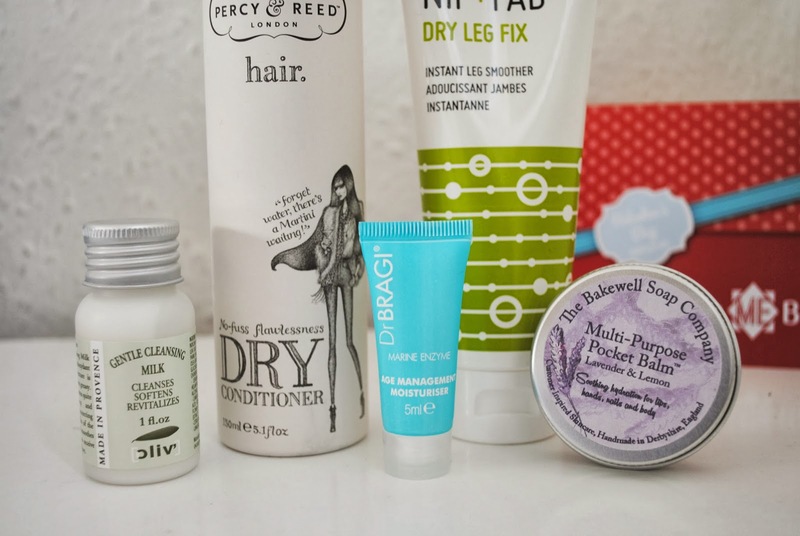 Great post, I've just subscribed to glossy but I wish I'd known about these boxes before, think I may have to swap! Thanks for sharing. Thanks! I was tempted by glossy box but after seeing a lot of dissapointed bloggers I decided to go for this instead - although I've just seen a post on the Feb glossy box and it looks pretty good :) I'd definitely recommend checking these out though, I love the fact that if you don't like the products one month you can just skip it. Sounds like a lovely box! I've been meaning to try more Nip + Fab products and I'll have to check this out.